Congratulations to "Maureen C." the winner of Heather's giveaway. Thank you to all who participated! Hello, sweetheart, I’m Sky Crawford, a Navy Seahawk helicopter pilot. I was introduced in Heather Ashby’s first novel, Forgive & Forget, as the hero’s sidekick. Before Heather finished that book, I had taken on a life of my own, and jumped up and down on the aircraft carrier’s flight deck, waving my arms and shouting, “Write about me! Write about me!” And that’s how I got my own story, Forget Me Not. Heather thinks this book was a 2012 Golden Heart finalist because of the cool original title: Cat On A Hot Steel Flight Deck. But it was really because I sweet-talked the judges. Women are my favorite thing in the whole world. And beer. What? I can only have one? Then it would be a woman with a beer. Okay, moving right along. Sorry, I have a little trouble with focus sometimes. My squadron mates say it’s ADHD and that’s how I got my pilot call sign, “Skylark.” To skylark in the Navy means to be distracted, not pay attention, or have one’s head up one’s you know what at the wrong time. I only lose focus when things get boring, but I’m never bored around lovely ladies such as yourselves. Or in my Romeo helicopter. You don’t believe there’s such a thing? 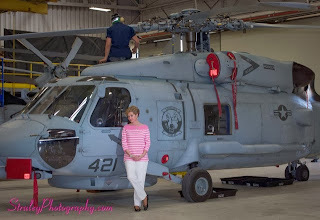 I fly a Navy MH-60R Seahawk helicopter, commonly known as a “Romeo.” See, “R” in the military alphabet stands for Romeo, so that makes me a Romeo pilot. How’s that for branding? I’m always focused as soon as I climb into the cockpit. And I stay on task through all missions: Search & Rescue, vertical replenishment—like helping victims of Hurricane Katrina and the earthquake in Haiti—Anti-Submarine Warfare, and Counter Narco-Terrorist interdiction. That last one is a mouthful, but it’s what my crew and I perform in Forget Me Not. Heather had to do a lot of research on the cocaine trade and spend hours talking to hot helo pilots about drug interdictions at sea. FYI, she did not find the latter to be hardship duty. One pilot even took her through the flight simulator and let her take down bad guys on her own! But the big story in Book #2 of Heather’s “Love in the Fleet” series, is my pursuit of Dr. Daisy Schneider. Man, oh, man, does that woman spin my rotors. See, I rescued this Siamese cat and tried to impress my chick-du-jour by taking it to a vet and finding it a home. But, oops, I fell in love with the vet. So, of course, I’m keeping the cat. Surely I can come up with ailments every day that will require Dr. Daisy’s attention. Unfortunately, she is not falling for my BS, so I’m working extra hard to win her over. Apparently she’s got some kind of baggage where military pilots are concerned, so my cool Navy flight suit isn’t doing anything for her either. But that’s okay. I’m not giving up any time soon. Besides, I’ve got issues of my own. Come on, doesn’t everybody? My best friend from Book #1 thinks I’ve got some PTSD problems and maybe I should talk with someone. But it’s not like I can’t handle a couple of bad dreams now and then. Besides, ever since the kitty moved into my life, she’s been waking me up before the dreams get out of hand. Siamese cats are like dogs, you know. They greet you at the door, talk to you, and apparently comfort you when you’re dealing with issues. Oh, geez, what’s wrong with this picture? I’m sleeping with a cat instead of Dr. Daisy? I need to get my hands on a copy of Forget Me Not and see how this all turns out. Or maybe I’ll just wake Heather and ask her. Nah, she’s not going to be happy when she finds out I ghost wrote this blog post. And hit Send. She’s always telling me, “I can’t take you anywhere, Sky!” So, gotta run, darlin’s. Feel free to leave a comment below and I’ll select one lucky commenter for a giveaway of Forget Me Not. But right now I gotta go “kick the tires and light the fires,” as we Naval aviators say, before Heather wakes up and kicks my…um…tires. 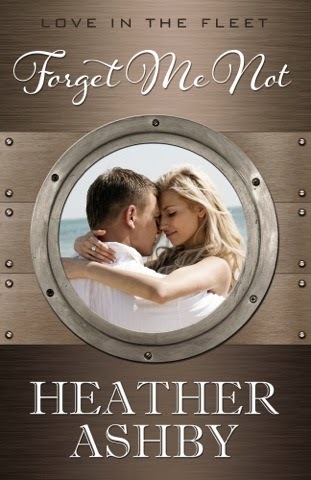 Heather will be giving away a copy of Forget Me Not to one lucky person leaving a comment or email entry. 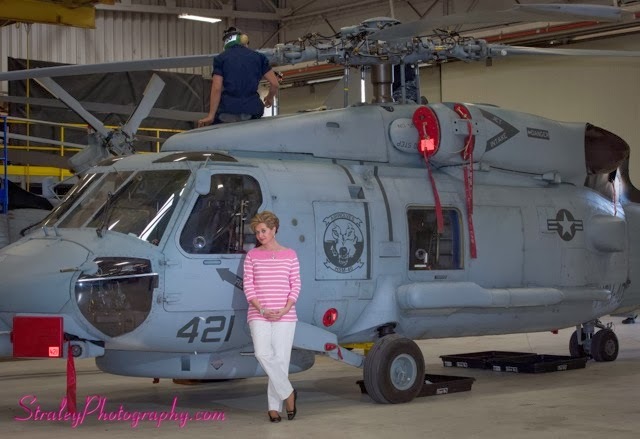 Heather Ashby is a Navy veteran who taught school and raised a family while accompanying her Navy husband around the United States, Japan, and the Middle East. In gratitude for her Army son’s safe return from Afghanistan and Iraq, she now writes military romance novels, donating half her royalties to causes that support wounded warriors and their families. Her debut novel, Forgive & Forget was voted “Best of 2013” by Suspense Magazine. She lives in Atlantic Beach, Florida with her husband and three rescue cats. Giveaway ends 11:59pm EST Dec. 5th. Please supply your email in the post. You may use spaces or full text for security. (ex. jsmith at gmail dot com) If you do not wish to supply your email, or have trouble posting, please email maureen@JustContemporaryRomance.com with a subject title of JCR GIVEAWAY to be entered in the current giveaway. Sky wrote a great post. It looks like his story is a good one. Thanks for inviting me - um, US - Maureen. 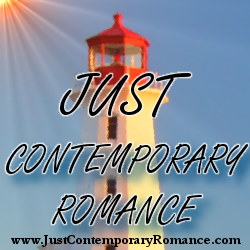 Always fun to visit Just Contemporary Romance, both as a reader and a guest. Sky has a great voice! I laughed and learned a lot about Navy helo pilots too. Thanks, Natasha. I'm glad you enjoyed the book - and Sky. Thanks for stopping by. Some nap, Heather :) Can't wait to read it! Thanks, Shipmate. Always good to hear from you. Hope your writing is Full Speed Ahead! I love a romance where the bad boy changes his wicked ways -- all in the name of love! Yup. And don't we just love it when the heroines bring them to their knees? Delightful post, you rogue. So fun to meet you. And I'll bet Heather wasn't ALL that upset with you. Can't wait to read your story--it sounds wonderful. Can't wait, either, to see how you fare with Dr. Daisy. Heather--thanks for letting Sky take over--I sure enjoyed his post :-) Good luck with the book! Thanks so much, Lizbeth. ALWAYS good to hear from you. Yes, Sky is a rogue...forgot about that perfect word for him. But, of course, he has a heart of gold, and will prove it in the end. Hope all is well with you and yours, and that your writing is going well. Nice of Sky to let you co-pilot, Heather. Bet the simulator was a blast. Those helo scenes were SO realistic! I loved Sky's story. So glad he convinced you he needed his own novel! Nice having you write the blog, Sky! I do hope you show up in Heather's next books because you are so much fun and I couldn't put down your story. Read it all the way through in one night. Did NOT know all that about making cocaine and the environmental pollution. Stay safe. I love this blog. That's definitely a true hero to blog to the rescue like that. Looking forward to reading about Sky's... tires. You bet, sweetheart. Sky's waiting for you to drop by and check his tire pressure :-) And I DO like "blog to the rescue." Heather, Sky is a real charmer. I so have to read this book. Thanks so much for stopping by, Shipmate. Yup, you need something charmed, Sky's your man! Enjoy the flight. Very fun! Thank you Sky and Heather. Thanks for stopping by, Kimberly! Awesome! Sky makes me laugh and swoon at the same time -- a wonderful combination! Can't wait to read this story. And I learn such new and interesting things from your books, Heather! Aww, thanks, Lauren. I really strive for that learning cool stuff part...because I LEARN COOL STUFF when I'm researching. I like 'Laugh and swoon at the same time." I may need to borrow that for marketing him. Thanks for visiting! Best nap ever!! Can't wait to read this one! Fun post! So excited for you! Thanks, Lindsey, and I'm excited about your latest publishing good news! We bad girls - I mean, we writers of bad boys - need to stick together. Thanks for stopping by. OMG, I LOVE "King of Hearts," Catherine!!! May I borrow that to market him? Thanks for being FORGET ME NOT's Godmother and for all your input as we smoothed Sky off and made him acceptable for polite company. (which was no easy feat :-) Write on!!! Sky, I loved "meeting" you on-line. Can't wait to read about your lovestory with Daisy. This little peek into your personality has certainly intrigued me. Daisy has got to be a strong, intelligent, compassionate woman with a sense of humor. Especially if she's able to wade through your sweet talkin' ways and find her way into your heart. Somehow, I think this motto might be right up your alley: Be good, or be good at it! Love all this too: "Daisy has got to be a strong, intelligent, compassionate woman with a sense of humor. Especially if she's able to wade through your sweet talkin' ways and find her way into your heart." And, yup, she's no dummy. It might take her quite awhile to find his heart of gold. Thanks for coming by, Pris. If the book is half as good as the blog post you have a winner Heather. I look forward to reading it. That would be your boy, Julie, 'cuz Sky loves to do dirty things. Oh, wait. I mean, I'm sure he would have been glad to help with the dirty dishes. He really is a gentleman deep down there...somewhere. I hope you enjoy the flight. Thanks for your good wishes and thanks for stopping by, Julie. Earlier today I wrote about 4 to 5 paragraphs to you. A really good chat. I actually dissected your psyche--not as painful as you might imagine. But when I went to post, it all disappeared. And of course, I'd neglected to copy it. I believe I've conquered my blogger issues, but I'm not re-writing the original post. I'll just say---You're a more accomplished lier than any hero I've ever met! You're now probably wiping your brow that my original post was lost! Sky, I know you only lie to protect your secrets. But it's so automatic and effortless for you, it's amazing. You make me laugh. I'm half-way through your book, and I can't wait to read the rest. I'm already hoping I'll see a bit of you in Heather's next book. You should come across as arrogant, but you are, in fact, utterly charming. You made me cry, Sheri. You see right through this "scoundrel." I'd love to hear about your analysis of Sky's psyche sometime. But you've got his number: "I know you only lie to protect your secrets." I'm so glad you're enjoying FMN and guess what? You WILL see Sky again in future books. Thanks so much for cheering me - and Sky - on. Hugs to you, Sheri! Great post, buddy! Looking forward to reading your story! Thanks for stopping by, sweetheart. Fasten your five-point harness, sit back, and enjoy the flight, Terri! What more can I say about the guy who captured my heart from his very first words. Nothing more than fabulous to follow Sky's journey towards love and war...looking forward to book#3 !! THanks, Suzanne! And thanks for being the president of the Sky Crawford Fan CLub!!! Hugs!